Those who follow me on Facebook, Instagram or Twitter know that I love to post cocktail photos. But for me, it’s all about the creation. About mixing fresh flavors, citrus, herbs and sometimes, colors. And just like with cooking, I get inspired by colors when I think about creating a fun cocktail. But sometimes it’s all about the flavor. Sometimes the most flavor can be found in a cocktail with next to no color. That’s where my French Gimlet comes in. 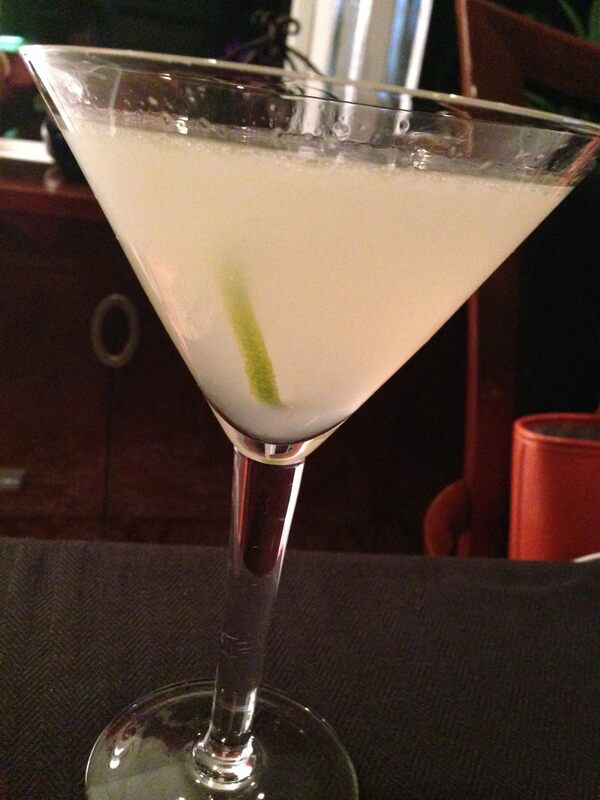 It’s a twist on the classic Gimlet, which is gin or vodka with fresh lime. My favorite French version dresses it up with the addition of the French elixir, St. Germain, an elderflower liqueur. It’s sweet, floral and VERY aromatic. It works quite well with citrusy cocktails. Just three ingredients go into this one – vodka or gin (like any Gimlet), St. Germain and fresh lime juice. I prefer gin in this one – the floral notes of the St. Germain offset the herbaceous notes of the gin, creating a beautifully balanced concoction! Pour all ingredients into an ice-filled shaker. Shake vigorously for about 30 seconds and strain into a cocktail glass. Garnish with a lime peel or lime slice. Note: There are less expensive elderflower liqueurs on the market but what I’ve tasted is inferior, so it’s worth spending the extra $$ for St. Germain.